Ski-0n / Ski-0ff: à quelques pas de pistes! Passez votre temps sur les pentes - ne pas obtenir pour eux. Notre maison offre la commodité d'/ séjour de ski-out de ski. Juste à l'extérieur de votre porte est une pente de débutant qui est votre passerelle vers tout ce qui Finot a à offrir. Vous pourrez profiter de l'accès immédiat aux pistes sans les tracas d'une navette ou de longue randonnée. De plus, les camps et les leçons répondent au bas de cette course et se rendre dans les programmes réguliers est facile. * Le service Wi-Fi est disponible. Pour la saison 2013-2013 SKI Magazine classe Finot comme la station n ° 1 dans l'Est! Faites de vos vacances d'hiver le meilleur jamais par passer plus de temps sur les pistes et moins de temps à essayer d'obtenir à eux! Programmes de la famille et les enfants en suspens. Navettes pour vous emmener partout sur la station. Des vacances sans voiture. AMAZING! Perfect location, clean, spacious can't wait to go back! 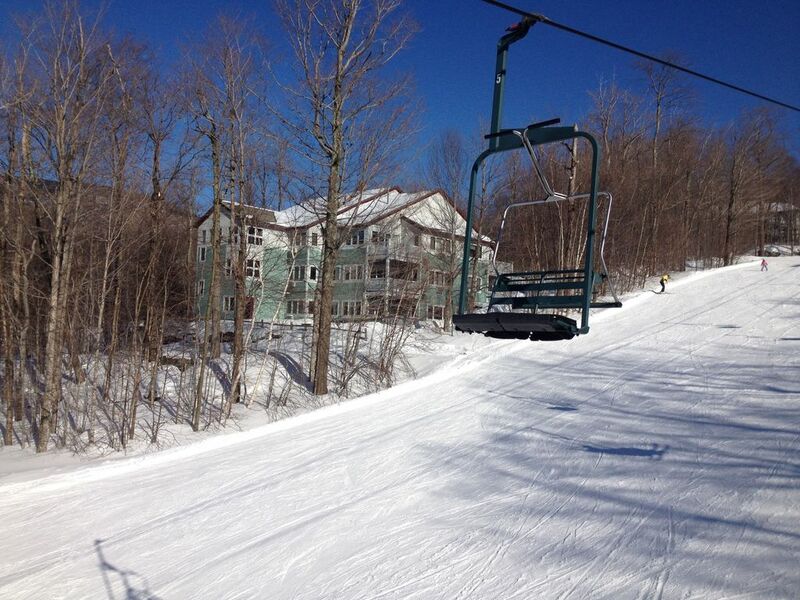 This is our second time at Smugglers Notch and we truly loved this condo. The views, the location right by the slope to start the day skying and not worry about parking! The unit was super clean, very spacious with plenty of well thought storage and everything we could need in the kitchen. There is also a locker for the ski gear that makes it easy to ski in/ ski out. The whole family enjoyed it, I would definitely recommend and can't wait to be back! Excellent condo perfect for getting onto the slopes in less than 30 seconds from walking out of condo to putting your boots on the slope. Had everything we needed. We were able to walk out and see the fireworks on Thursday night. The resort itself everyone was very friendly and helpful. The ski school was amazing for my 4 year olds first time and after a day or so he was taking the lift to mid station with the instructors. Treasures day care was awesome for my 8 month old baby girl. They have this brightwheel app setup so you can get updates through the day of everything happening diapers/food/bottles and naps. Would definitely stay again. Owner was very responsive and quick to answer any questions we had. Loved the location! The condo was clean and very cozy. One of our priorities when travelling to ski is finding a place that we could park the car on arrival and not start it up again until it is time to leave, this condo allowed us to do that. We are a family of 4 (two boys ages 10 and 13) who often travel with my parents. This condo fit us perfectly, and the pull out couch was used by a visiting cousin. We were very comfortable and felt there was lots of space for our stuff and us. The kitchen had what we needed and having a washer/dryer was a great plus. We took nightly walks down to the base area and just love skiing at Smuggs. We would highly recommend this condo! Keys are picked up directly at property.